The majority of students who are referred for academic concerns and/or have been identified as having a specific learning disability have difficulties in the area of reading. Among the population of students with learning disabilities, an estimated 80%have reading disabilities (Lerner, 1993). Students with poor reading skills are becoming more apparent to educators and parents due to the results found on criterion-referenced, high stakes mandatory testing that most schools nationwide have incorporated across grade levels. The National Assessment of Educational Progress (NAEP; 1997) reported that 40% of fourth graders, 30% of eighth graders, and 25% of twelfth graders were reading below grade level. The percentages are even higher and the gaps even wider between grade levels in schools predominately made up of free or reduced lunch eligible student populations (Snow, Burns, & Griffin, 1998). Therefore, it is imperative that school psychologists work with a team of professionals to help students with reading problems by designing interventions from data-based decision-making activities. While data based decision-making practices will be touched upon briefly to establish their important link to targeting interventions, another chapter in this volume more fully addresses diagnostic and assessment issues in the identification of students with reading problems. This chapter addresses intervention needs of students who have been formally diagnosed with reading disabilities. It also addresses students who may not meet formal criteria for a learning disability in the area of reading but who struggle with identifying and comprehending written language. Moreover, this chapter is congruent with the consultation/problem-solving orientation toward the practice of school psychology and discusses data-based intervention planning without placing emphasis on formal classification. Problems in reading can affect performance across several academic content areas, occupational endeavors, and other functional skills that are used in everyday life activities. The task of the school psychologist is to work with teachers and parents to define those problems through data-based decision-making methods, to target interventions to address the problems, and to help implement and evaluate those interventions. Specifically, this chapter will describe briefly the characteristics associated with reading problems, delineate a problem-solving/data-based decision-making process to develop effective interventions, and finally focus on a variety of interventions that can be used to address different types of reading problems. 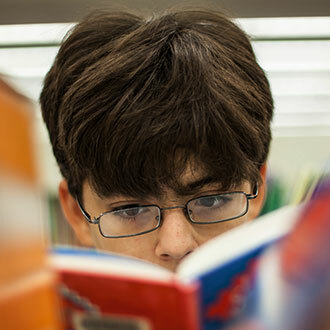 Two types of students with reading problems that school psychologists and educators are likely to encounter are students with IQ-reading achievement discrepancies and students with a combination of low ability and low reading achievement. Students who have IQ-reading achievement discrepancies tend to have average to high average IQ and listening comprehension scores (Aaron & Joshi, 1992). Children with developmental dyslexia are included in this group of poor readers. Dyslexia is often associated with some neurological impairment that results in poor word recognition skills including phonological processing. Slow rate of reading, erratic oral reading, misuse of function words and suffixes, and reading comprehension difficulties on timed reading tasks are among the symptoms commonly associated with dyslexia (Aaron & Joshi, 1992). Low ability readers make up the largest number of poor readers. They tend to have lower than average IQ and have below grade level listening comprehension, word recognition, and reading comprehension performance. Although we tend to classify children with severe reading problems as low ability readers or IQ-achievement discrepant readers, current research indicates that there are no significant differences between these two groups of readers on how they develop reading precursor skills (Wristers, Francis, Foorman, Fletcher, & Swank, 2000). Earlier research conducted by Stanovich and Siegal (1994) also suggested that IQ did not predict reading difficulties among low ability (garden variety readers) and IQ-discrepant readers. Instead, they found that phonological core variables were better predictors of reading skills. Therefore, differential diagnoses based on IQ scores do not yield different growth patterns in reading development. For this reason, the remainder of this section will describe poor readers according to specific cognitive processes and behaviors they exhibit rather than according to diagnostic categories. Poor readers with word recognition difficulties generally over rely on textual cues such as pictures and other words to identify words in a passage that are unknown to them (Kim & Goetz, 1994). Overusing textual cues to identify unknown words reduces the likelihood of transforming unknown words into sight words (Pressley, 1998). Many errors are made when children use semantic contextual approaches rather than sounding out words. Children need opportunities to sound out words even if this means they have to struggle (Adams & Henry, 1997). This may be easier said than done as many children do not know how to begin to sound out words. Some poor readers have limited letter-level knowledge or an understanding of the alphabetic principle. Typically, these types of readers are limited to being able to sound out only the beginning letter of a word. The inability to sound out words can be attributed to phonological processing difficulties. Weak phonological processing accounts for the largest population of students classified as having dyslexia or individuals with severe word recognition difficulties (Pressley, 1998). Phonological awareness is a crucial component to becoming literate. This has been verified through studies that examined long-term effects of phonological awareness training in preschool and kindergarten on subsequent reading achievement performance of first, second, and third graders (Ball & Blachman, 1991; Byrne & Fielding-Barnsley, 1993). Phonemic awareness is knowing that spoken language is made up of discrete, operable sounds. Rhyme production, sound blending, sound deletion, sound substitution, and sound segmenting are among the many ways individuals can operate on spoken words. Developmentally, children begin with rhyme activities and then progress to segmenting sounds in words. Among phonemic awareness exercises, phonemic segmentation is the best predictor of word identification for primary grade children (Nation & Hulme, 1997). An example of a phonemic segmentation exercise would be to pronounce a word such as "cat" and ask a child to say each sound as three separable sounds in the word such as /c/ /a/ /t/. Some children develop phonemic awareness through literacy experiences at home before entering school while others have limited exposure to print and role models who engage in reading and writing. Some children, regardless of their environmental conditions, struggle with grasping phonemic awareness. Thus, children who lack phonological skills and have a limited vocabulary will have difficulty phonologically "recoding" letters back into their constituent sounds when they encounter print (McCormick, 1999). When most children initially encounter a printed word, they go through a process of sequentially decoding the word by attempting to make letter-sound conversions. Phonological recoding occurs as children check to see if the word they made matches a word that has been stored in their memories (Daneman, 1991). At advanced stages of this process, children learn to decode words hierarchically. Hierarchical decoding involves using letters in words to cue the sounds of other letters. For example, using the "e" at the end of the word "came" to say the "a" as a long vowel sound. Related to phonological recoding is orthographic processing. Orthographic processing refers to recognizing and remembering letters which includes noting sequences of letters in words and being able to distinguish among spelling patterns of words. Although smaller in population compared to those with phonological deficits, some children with reading and spelling problems have difficulty processing words orthographically (Stanovich & West, 1989). Children need to become automatic at recognizing words to free up their cognitive energies to gain meaning from text. Poor readers not only struggle with recognizing words in text but also have difficulty suppressing irrelevant information in text which places limitations on the use of their short term capacity for comprehending printed material (Pressley, 1998). These students have particular difficulty grasping an understanding of texts that contain words with multiple meanings (McCormick, 1999). Beyond the word reading level, poor readers have difficulty making inferences about the content presented in text. Poor readers do not connect ideas well and may not grasp the conceptual nature of the material. Problems with making inferences are partly due to poor readers' lack of prior knowledge about the content. On the other hand, good readers read more and gain more knowledge each time they read material. Good readers also have a repertoire of comprehension strategies to help them construct meaning from text. Poor readers know very few, if any, strategies that aid in the construction of meaning from text and strategies for monitoring understanding of text (Pressley, 1998). Regardless of their diagnostic label, poor readers get poorer without the benefit of effective instruction. This notion is what Stanovich (1986) coined the "Mathew Effects" in reading. In order to prevent the retention of weak literacy skills, appropriate stake-holders such as school psychologists, general education teachers, special education teachers, speech and language specialists, reading specialists, administrators, and parents need to initially establish collective efficacy about the relationship between instruction and performance. In fact, an increase in reading achievement occurred in schools where beliefs about teaching and learning competencies were shared collectively by stakeholders (Goddard, Hoy, & Woolfolk-Hoy, 2000). Once collective beliefs have been established, collaborative problem solving among interested stakeholders should occur within a data-based decision-making framework. In other words, the process of linking assessment to intervention needs to be shared by the appropriate multidisciplinary team members. Team members need to share the responsibility for determining students' skill levels, identifying instructional environment variables, targeting appropriate interventions, monitoring student progress as a function of interventions, and evaluating outcomes. These responsibilities are carried out though data-based intervention methods. Before describing interventions that help students with word identification and reading comprehension skills, it is imperative to discuss the bases for why some interventions are targeted for implementation over others. Decisions made without systematic data collection may result in targeting inappropriate interventions that further exacerbate students' struggles with reading. When a student experiences difficulty with reading, professionals and other interested stakeholders (i.e., family members) should work in a collaborative fashion by collecting data to define the problem in observable terms. Data can be gathered through various methods according to the nature and severity of the reading problem. For instance, school psychologists may be responsible for conducting systematic observations of students engaged in oral reading and comprehension exercises. This is a good way to begin gathering data. Following observations, school psychologists may conduct interviews with students and teachers to uncover information that was not detected by observation. Teacher and student interviews can be helpful in gaining information about perceived expectations of competence in literacy and to ascertain efficacious behaviors toward meeting learning goals. Examples of teacher and student interviews can be found in Shapiro's (1996) Academic Skills Problems Workbook. Systematic observations coupled with interviews may be sufficient depending on students' needs or may further guide team members in choosing other appropriate reading assessments that are sensitive to specific difficulties as well as provide baseline measures of performance. Types of reading assessments may include informal reading inventories, curriculum-based measures, miscue analysis inventories, criterion-referenced tests, and standardized diagnostic reading achievement tests. Practitioners are cautioned about the use of test scores derived from these assessments because they may not be as helpful for targeting interventions in contrast to the strategies students use or fail to use while attempting items involving identifying and understanding print. This is especially the case for students who are older and can identify words accurately but not automatically (Snow, Burns, & Griffin, 1998) and who may take a long time deriving correct answers to comprehension questions about text. Once interventions are targeted and implemented from assessment information, treatment integrity needs to be assessed. This means that interventions need to be applied consistently as designed. For a comprehensive discussion about this important aspect of implementing interventions, please see Telzrow's chapter on intervention integrity in this volume. Progress monitoring of student performance over time is another critical component that needs to occur to assess whether or not interventions are effective for meeting students' literacy needs. Curriculum-based measures and other informal measures (e.g., teacher-made probes and informal reading inventories) that indicate specified criterion levels of performance can serve as appropriate assessments for progress monitoring of student performance. School psychologists may support teachers by helping them monitor student progress over time in a systematic fashion. Students should also be encouraged to engage in progress monitoring activities. Graphic representations of data may provide a visual description of whether interventions have been appropriately targeted and applied. The following case study illustrates the use of various assessments that aided in targeting an intervention and conducting systematic progress monitoring. Rick was a third-grade youngster with an attention-deficit hyperactivity disorder and learning disability in reading and written expression. His special education teacher consulted with the school psychologist about intervention suggestions for Rick. The school psychologist conducted systematic observations of Rick during oral reading and spelling activities. Observations revealed difficulty with making letter-sound correspondences while attempting to identify basic high frequency words with consonant-vowel-consonant patterns. A teacher and a student interview was conducted, and it was determined that Rick was provided with a buddy to read stories and to assist with classroom assignments. Rick reported that he would feel anxious about completing reading assignments if he did not have his buddy's assistance. Without assistance, Rick was asked to read and spell a list of 100 words with consonant-vowel-consonant patterns. It was determined from this assessment that Rick could only read 5 out of the 100 words on the list. Interestingly, he was able to spell 90% of the words on the list. The school psychologist assisted the special education teacher in developing procedures including integrity checks during baseline, intervention, and maintenance sessions. Baseline word identification and spelling probes were developed and consisted of 10 words that were randomly selected from a list of 100 words. The 10-item probe was given over three sessions. It was determined that Rick's mean identification score was 5.0, and his mean spelling score was 8.6. Word boxes, an intervention described in detail in the intervention section of this chapter, was implemented to help Rick make letter-sound correspondences while attempting to identify words. Word identification and spelling probes were administered daily at the completion of intervention. They contained sets of words with consonant-vowel-consonant patterns taken from the list of 100 words. Rick obtained a mean score of 8.6 on word identification probes and 9.8 on spelling probes across instructional sessions. Maintenance probes were also administered, and Rick maintained a high level of performance on probes. Figure 1 depicts a graphic representation of Rick's word identification and spelling performance overtime. This section provides a description of evidenced-based instructional interventions for students who have difficulty with word identification and reading comprehension. Since many educational professionals are likely to be aware of some of the traditional approaches to literacy instruction that have been used over many years, many of the approaches presented in this section will be those that are considered contemporary approaches for meeting the needs of diverse learners. Of course, the interventions described are not exhaustive of all approaches for the amelioration of reading difficulties. For interventions, it should be realized that "one size does not fit all." It may be desirable to modify or target other interventions based on sufficient data obtained about the unique needs of individual students. Whether word identification or comprehension interventions are implemented, general psychological components of teaching and learning that apply to how children acquire literacy should be incorporated in lessons. Scaffolding, shaping, connecting to prior knowledge, constructing meaning, motivating students, and providing opportunities to learn have been considered among the key components of best literacy instructional practices (Gambrell, Morrow, Neuman, & Pressley, 1999). School psychologists can work collaboratively with educators by helping them incorporate the following critical components during instruction. Several instructional approaches to word identification and reading comprehension employ scaffolding. Scaffolding, a term coined by Wood, Bruner, and Ross (1976), means that necessary support needs to be given to a child and gradually faded once the child approximates independent functioning while completing tasks. The concept of scaffolding is rooted in Vygotsky's (1978) notions about how the mind develops through interactions between teachers and students and how children may be able to achieve more anyone thinking about implementing any of these than what was initially expected given the proper cultural tools. Examples of scaffolding include teacher facilitation and feedback as well as appropriate instructional materials that serve as supportive structures to make tasks solvable (Carnine, Silbert, & Kame'enui, 1990). Instructors who embrace scaffolding procedures often are those who view themselves and the materials they design or select as mediators of learners' development. A behavioral concept that is similar to scaffolding is shaping. Shaping, a term described by Skinner (1957), means to elicit reinforcers for successive approximations toward completing an objective. Delivering reinforcers for efforts made toward achieving a goal can be considered as ways of providing support to students. This cannot be stressed enough when working with children with reading difficulties. Many children with severe reading problems will become extremely frustrated in the process of becoming literate because they will not experience success immediately. Reinforcers may not have been a systematic part of students' instructional histories. In other words, contingencies for reading behavior may have been inconsistent or delivered haphazardly rather than in successive approximations to desired reading behavior. These are the children who grow up and find reading not enjoyable and may not experience reading as a reinforcer (e.g., gaining information and pleasure). These individuals may later find themselves in limited employment and social situations. Therefore, it is crucial that educators and parents shape reading behaviors through praise and rewards contingent upon efforts made at achieving reading skills. Effective instruction includes being aware of what students know. 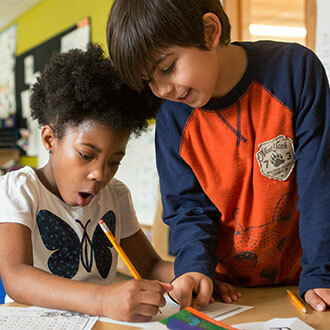 Assessing student's prior understandings and experiences will help teachers facilitate links between what students know and what they need to learn. How quickly one grasps information presented in text depends largely on one's prior knowledge of the content (Gambrell et. al., 1999). Students with learning problems often have limited prior knowledge and experiences on which to "hook" new information. It is especially imperative that teachers provide opportunities for students to gain background knowledge through discussions and activities before students are presented with text that is foreign to them. While specific literacy skills are important to teach, educators must keep in mind that the purpose of reading is to construct meaning from text. Capturing the plot of a story, following instructions for putting things together, and learning about current events are among some of the purposes for reading. 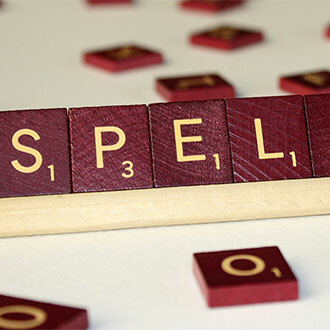 Several scholars claim that children acquire decoding, spelling, grammar, and comprehension skills more easily if the context from which they are presented is personally meaningful (Gambrell et al., 1999). Higher-order reasoning and new meanings about text can result from children who were provided with meaning-based literacy activities at school and home. Motivating students to read is a real challenge particularly for the upper elementary and secondary school teachers. Studies have shown that kindergartners and first graders are more likely to expend efforts toward reading even if they fail (Nicholls, 1990) while older students, especially those with learning difficulties, are less willing to put forth effort if they do not experience success (Jacobson, Lowery, & Ducette, 1986). Young children are more likely to attribute their failures to insufficient effort while older students who struggle with reading often attribute their failures to factors such as task difficulty and unfounded teacher perceptions (e.g., student feels teacher does not like him or thinks he is incapable). Attribution retraining (i.e., helping students realize their efforts lead to desired outcomes) coupled with strategy instruction has been found to be effective for helping low achieving students improve on their use of reading strategies (Carr & Borkowski, 1989). Literacy activities should be authentic, integrated with other content areas, interesting, and occur within a social context so that students are motivated to participate in them (Pressely, 1998). This includes providing students with opportunities to choose from a range of high quality literature and to exchange dialogue about reading material (Palmer, Codling, & Gambrell, 1994). 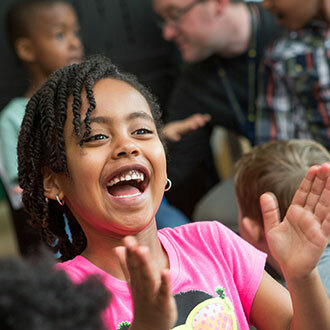 Within the time allotted for literacy activities, students need opportunities to make frequent responses during oral and silent reading as well as writing lessons. Students also need plenty of opportunities to practice new skills that are learned. This instructional component cannot be emphasized enough while students are acquiring literacy skills. Children with learning disabilities and mental retardation need more opportunities to practice than their peers (McCormick, 1999). Over-learning leads to transferring skills to other tasks more easily. Many students who experience difficulty identifying words are not aware that spoken words are made up of discrete sound units (Adams, 1990). Phonemic awareness exercises also help children operate on sounds of spoken language through phonemic blending, segmentation, deletion, and substitution activities. Phonemic blending exercises involve blending individual sounds or clusters of sounds together to form a whole word such as blending the sounds /c-a-t/ to form the word /cat/ and blending /fl-at/ to form the word /flat/. Segmentation exercise involves saying each individual sound in a word such as saying /t-a-p/ for the word /tap/. An example of a phonemic deletion would be removing the /f/ from the word /fin/ and saying the remaining sounds /in/, and substitution consists of adding a different sound (/b/) to the remaining sounds to make a new word (/bin/). Phonemic analysis exercises can involve identifying the position of sounds in words such as identifying the /a/ as the middle sound in the word /tap/. The purpose of implementing interventions that target word level problems is to help children eventually read words by sight or with automaticity. Some children have difficulty reading words automatically because they do not possess strategies in making letter-sound associations. Word level interventions consist of phonics instructional approaches. Phonics incorporates methods by which children learn letter-sound associations. Stahl, Duffy-Hester, and Stahl (1998) stated that good phonics instruction consists of developing the alphabetic principle, developing phonemic awareness, providing familiarity with forming letters, and providing sufficient practice in reading words. They also indicated that good phonics instruction should not be rule-based and does not dominate literacy instruction programs. Many of the rule-based approaches used workbook exercises that required children to memorize and recall rules. Clymer's (1996) review of commonly used words in children's reading materials revealed that rules were rarely applicable to most words encountered in texts. There are a variety of approaches to teaching phonics. Rule-based approaches are considered to be analytic approaches to teaching phonics (Cunningham, 1999). Children are taught some words and asked to analyze them by breaking the words down into their component parts followed by making phonic generalizations about the words. As alluded to previously, many basal reading programs that include accompanied workbooks are reflective of an analytic approach to teaching phonics (Stahl, Duffy-Hester, & Stahl, 1998). For example, students may read a list of words on a worksheet and mark whether the vowel in each word makes a "long" or a "short" sound. Synthetic approaches to teaching phonics, on the other hand, involve explicit teaching of letter-sound associations. During practice lessons, students pronounce sounds in isolation and then blend them to make words (McCormick, 1999). An example of an empirically supported synthetic phonics program is Direct Instruction (Adams & Englemann, 1996). This approach infuses behavior analysis principles of teaching children to systematically progress from one phonic skill to the next. Initially, individual sounds are taught and then children are asked to blend sounds to form words. Cueing, feedback, and opportunities to make many responses are provided during every lesson. Drawing from decades of her own research, Cunningham (1995) advocated teaching phonics through primarily an anologic approach. In an anologic approach, children are taught to become word pattern detectors and use words or parts of words they know to figure out unknown words. For instance, if a child can read and spell the word "sit" then the student will also be able to read and spell the words "fit," "kit," "bit," "hit" and other words that belong to this family of words. Cunningham's Four Blocks program follows predominately an anologic approach to teaching phonics (Cunningham, 1999). The Four Blocks program is a combination of four major reading approaches that emphasize multilevel instruction. This program includes guided reading, self-selected reading, writing, and word study approaches. The word study approaches best illustrate the kinds of activities that would represent teaching phonics anologically. Doing the word wall, making words, and guessing the covered word are among some of the activities included in the word study portion of the program. Doing the word wall consists of putting words up around the classroom where children can easily see them. Displayed words should be carefully selected and correspond to those that children commonly need in their writing. Only approximately five new words need to be added to the wall per week. Words that typically cause confusion can be written in a variety of colors so they stand out among those written in black. Children are asked to write and say the words on the word wall and complete a variety of review activities so words are read and spelled automatically. Making Words activity consists of providing students with six to eight different letters on letter cards. The teacher says words with two, three, four, and more letters that can be formed with the letter cards. Children are then asked to use all of their letters to make a big word that is related to something they are reading. For instance, the teacher may give the students cards with a letter printed on each. The letters may be, s, a, p, l, r, e, t. The students are instructed to use the letters to form two-letter words and then three-letter words and so forth. At the completion of the lesson, the students are asked to use all of the letters and make a big word such as "stapler" (see Cunningham & Hall, 1994, for a thorough discussion of this activity). Guessing the covered word consists of writing four to six sentences on the board and covering up one word in each sentence with a sticky note. The first sentence is read, and the students guess the covered word as the teacher writes down all the guesses. The teacher explains to the children that the covered word could be lots of different words when the letters are not shown. All of the letters are uncovered up to the first vowel. Guesses that do not begin with the beginning letters are erased, and the students are encouraged to continue guessing with the remaining words written on the board or make new guesses. Eventually, the whole word is uncovered as students' guesses approximate or match the covered word. In the Four Blocks program, children are taught to rely on word study strategies to identify unknown words while reading texts (Cunningham, 1999). The words blocks activities can also be considered ways in which children study about words. In fact, these types and other similar approaches have been classified as word study phonic approaches and considered to be contemporary because they employ multisensory methods of helping children understand phonological and orthographic features of words (Stahl, Duffy-Hester, & Stahl, 1998). Other types of contemporary word study approaches include word sorts and word boxes. Word sorts are an anologic phonic approach for helping children categorize words according to shared phonological, spelling, and meaning components. They can come in the form of closed sorts where the teacher establishes the categories or open sorts in which children induce the categories based on an examination of subsets of given words (Zutell, 1998). Words to be sorted are usually placed on index cards, and the established categories provide a structure for detecting common spelling patterns and discriminating among word elements (Barnes, 1989). Bear, Invernizzi, Templeton, and Johnston (1996) provide a comprehensive guide to creating various types of word sort lessons and other word study phonic activities. For instance, phonemic awareness sorts can be accomplished by having the children place tokens below given respective word categories as the teacher articulates words. Children can also spell words below respective categories as the teacher orally presents words. Howard Street (Morris, Shaw, & Perney, 1990) and Early Steps (Santa & Hoien, 1999), two effective tutoring programs for low achievers, incorporate word sort techniques rather extensively. Word boxes, a synthetic phonic approach, helps children segment sounds of spoken language. This approach has been effective for helping children with learning disabilities identify and spell words (Joseph, 1998/1999). Typically, word boxes have been used within the comprehensive Reading Recovery program (Clay, 1993). A word box consists of a drawn rectangle that has been divided into sections (boxes) according to individual phonemes in a word. Initially, children place tokens in respective sections as each sound in a word is articulated slowly (see Figure 2). Eventually, children place letters (either magnetic or tile) in respective sections as each sound in a word is articulated. During advanced phases, children are asked to write letters in the respective divided sections of the box. Joseph (2000) compared beginning first-grade children who were either assigned word boxes lessons, word sorts lessons, or traditional phonics lessons and found both word boxes and word sorts to be effective on children's phonemic segmentation, phonemic blending, word identification, nonsense word naming, and spelling in contrast to the traditional group's performance. There were no significant differences between the word boxes group and the word sort group. Controlled comparative research is still very young, and until more data are obtained, it is best practice to be flexible and choose from a variety of empirically based phonic approaches that facilitate the study of phonological and orthographic components of words. Figure 2. Phonemic segmentation phase of word boxes instruction. 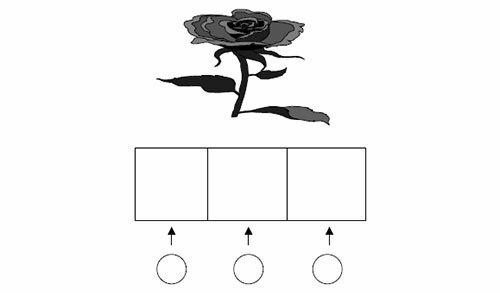 The word, "rose," has three sounds and, therefore, three connected boxes along with the same number of tokens are presented. A reciprocal relationship exists between developing sight word recognition and word identification skills for reading new words. Once students are able to read a bank of words fluently, they can easily identify new words by analogy especially if letter sequences contained in words are similar. And, once children break sound to letter codes, they are able to read words more easily by sight or automatically especially if children engage in repeated readings of words (Samuels, 1988). Repeated exposures to words in multiple contexts are also important for storing words in memory and recalling them easily (Pressley, 1998). Higher order interventions include reading comprehension and concept attainment activities. Learning strategies instruction approaches were found to be effective for helping children with learning problems attain concepts and improve on their reading comprehension performance (Pressley & Woloshyn, 1995). Learning strategies instruction approaches that consist of self-questioning, constructing mental representations to integrate information from text,and identifying text consistencies were among the most effective comprehension strategies (Haller, Child, & Walberg, 1988). Examples of these approaches include semantic mapping, PQ4R (Preview, Question, Read, Reflect, Recite, and Review), and reciprocal teaching. Semantic mapping typically involves developing word webs that reflect students' understanding of concepts and constructing a diagram connecting events of a story or connecting facts taken from content area textbooks (Novak & Musonda, 1991). Students who struggle with grasping conceptual relationships may find diagrams to be helpful visual aids. Semantic maps can be either process-oriented or product-oriented (McCormick, 1999). Process-oriented maps usually are completed before students read assigned material to help them establish some background knowledge. This type of mapping requires teacher facilitation of student responses. For example, a teacher may write a concept (e.g., satire) in a drawn box and ask the class to give examples of when they experience it. As the class responds, the teacher writes their comments below the concept. The teacher may then ask the class how it feels when they witness the concept and write their responses, drawing connecting lines to the other comments, and so forth. Product-oriented maps, on the other hand, are produced by students as an outcome activity after they have read material. Students generally work independently or with other peers and construct a map connecting ideas presented in text. An illustration of a semantic map summarizing some aspects of North Carolina's beaches can be seen in Figure 3. The PQ4R method of comprehending reading material is an extension of SQ3R (Survey, Question, Read, Recite, and Review) (Thomas & Robinson, 1972). This method involves previewing the reading material, questioning the reading, reading to answer the questions, reflecting upon the reading, reciting the reading, and reviewing the material. Previewing the material means surveying the chapter titles, main topics, and subheadings of the text. Students can turn the headings and subheadings into questions. Questions that were developed can be answered by reading the text. Reflections about the content can occur as the material is being read if the students pause to form connections and create images. Reciting is retelling what was read from memory. This form of retelling helps students monitor the information they are obtaining from the reading. If some information is not being retained, then students may need to read sections of the text again. Last, review the material by answering questions and referring back to the text for clarification of mistaken responses to questions. This method appears to be most appropriate for older students because it encompasses the application of higher-level metacognitive processes. Although PQ4R is not a new method, it continues to be considered as an effective technique for helping students organize and retain information from texts (Anderson, 1995). Reciprocal teaching is a reading comprehension approach that has helped delayed readers catch up and even exceed typically developing readers (Palinscar & Brown, 1984). This approach places heavy emphasis on teacher-student interactions in a rather cognitive apprenticeship fashion. After students and teacher read from common text, they confer with each other about the reading material. Initially, the teacher leads the discussion by modeling strategies of predicting, question generating, summarizing, and clarifying text. The students are then asked to lead the discussions and apply the strategies that were demonstrated by the teacher. Guided practice is provided until students can use the strategies effectively. The goal of these reciprocal teaching interactions is to construct meaning from texts. The most frequent type of referral concerning students with academic problems is in the area of reading. Students with reading problems present characteristics that lend themselves to various instructional challenges. Some challenges of intervention design for the amelioration of reading problems lie at the word level, others lie at higher order reading skills, and some lie with both. The best way to target appropriate interventions for children with reading problems is to conduct assessments that lead to appropriate data-based decision-making and problem-solving activities. Assessments that provide information directly linked to intervention design should be used with children who have been referred for having reading difficulties. School psychologists play a vital role in meeting the needs of students with reading problems. By working collaboratively with teachers, parents, and other interested stakeholders to develop effective instructional interventions, school psychologists can be seen as part of the solution rather than the problem. In order for reading interventions to be effective, fundamental components of teaching and learning such as scaffolding, shaping, connecting to prior knowledge, motivating, and providing opportunities to practice skills should be implemented. 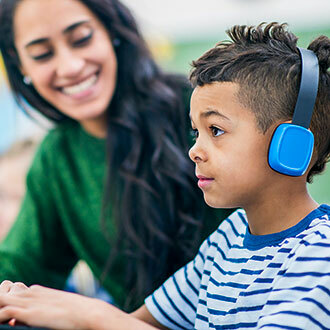 Whether students are learning word level skills or higher order skills, mediations such as teacher facilitation and feedback are crucial to helping struggling readers become fluent. Teacher mediation and other cognitive tools can be seen through, for example, word study phonics, semantic mapping, and reciprocal teaching approaches. In the past, school psychologists have often played a strong role in the diagnosis of children with reading problems. 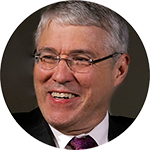 As our nation progresses into the twenty-first century where accountability of instructional and learning outcomes are at the forefront of objectives in most school systems, school psychologists need to move toward a proactive role of designing instructional interventions from data-based decision-making practices. It is now time for best practices in school psychology to become the rule rather than the exception. Aaron, P. G., & Joshi, R. M. (1992). Reading problems: Consultation and remediation. New York: Guilford. Adams, G. I., & Englemann, S. (1996). Research on direct instruction: 25 years beyond DISTAR. Seattle, WA: Educational Achievement Systems. Adams, M. J. (1990). Beginning to read: Learning and thinking about print. Cambridge, MA: MIT Press. Adams, M. J., & Henry, M. K. (1997). Myths and realities about words and literacy. School Psychology Review, 26, 425–436. Anderson, J. R. (1995). Learning and memory. New York: John Wiley. Ball, E. W., & Blachman, B. A. (1991). Does phoneme awareness training in kindergarten make a difference in early word recognition and spelling? Reading Research Quarterly, 26, 49–66. Barnes, G. W. (1989). Word sorting: The cultivation of rules for spelling in English. Reading Psychology, 10, 293–307. Bear, D. R., Invernizzi, M. A., Templeton, S., & Johnston, F. (1996). Words their way: Word study for phonics, vocabulary, and spelling. Englewood Cliffs, NJ: Prentice-Hall. Bryne, B., & Fielding-Barnsley, R. (1993). Evaluation of a program to teach phonemic awareness to young children: A 1-year follow-up. Journal of Educational Psychology, 85, 104–111. Carnine, D., Silbert, J., & Kame'enui, E. (1990). Direct instruction reading (2nd ed.). Columbus, OH: Merrill. Carr, M., & Borkowski, J. G. (1989). Attributional training and the generalization of reading strategies with underachieving children. Learning and Individual Differences, 1, 327–341. Clay, M. (1993). 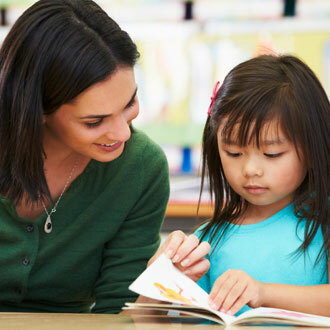 Reading Recovery: A guidebook to teachers in training. Portsmouth, NH: Heinemann. Clymer, T. (1996). The utility of phonic generalizations in the primary grades. The Reading Teacher, 50, 182–187. Cunningham, P. (1999). What should we do about phonics? In L. B. Gambrell, L. M. Morrow, S. B. Neuman, & M. Pressley (Eds. ), Best Practices in Literacy Instruction. New York: Guilford. Cunningham, P., & Hall, D. P. (1994). Making words. Carthage, IL: Good Apple. Daneman, M. (1991). Individual differences in reading skills. In R. Barr, M. L. Kamil, P. Mosenthal, & P. D. Pearson (Eds. ), Handbook of reading research (Vol. 11). New York: Longman. Gambrell, L. B., Morrow, L. M., Neuman, S. B., & Pressley, M. (1999). Best practices in literacy instruction.New York: Guilford. Goddard, R. D., Hoy, W. K., & Woolfolk-Hoy, A. (2000). Collective teacher efficacy: Its meaning, measure, and impact on student achievement. American Educational Research Journal, 37, 479–507. Haller, E. P., Child, D. A., & Walberg, H. J. (1988). Can comprehension be taught? Educational Researcher, 17, 5–8. Jacobsen, B., Lowery, B., & Ducette, J. (1986). Attributions of learning-disabled children. Journal of Educational Psychology, 78, 59–64. Joseph, L. M. (1998/1999). Word boxes help children with learning disabilities identify and spell words. The Reading Teacher, 42, 348–356. Joseph, L. M. (2000). Developing first grader's phonemic awareness, word identification and spelling performance: A comparison of two contemporary phonic approaches. Reading Research and Instruction, 39, 160–169. Kim, Y. H. & Goetz, E. T. (1994). Context effects on word recognition and compensatory hypothesis. Reading Research Quarterly, 29, 178–188. Lerner, J. W. (1993). Learning disabilities: Theories, diagnosis, and teaching strategies. Dallas, TX: Houghton Mifflin. McCormick, S. (1999). Instructing students who have literacy problems (3rd ed.). Englewood Cliffs, NJ: Prentice-Hall. Morris, D. Shaw, B., & Perney, J. (1990). Helping low readers in grades 2 and 3: An after-school volunteer tutoring program. The Elementary School Journal, 91, 133–150. Nation, K., & Hulme, C. (1997). Phonemic segmentation, not onset-rime segmentation, predicts early reading an spelling skills. Reading Research Quarterly, 32, 154–167. Nicholls, J. G. (1990). What is ability and why are we mindful of it? A developmental perspective. In R. Sternberg & J. Kolligian (Eds. ), Competence considered (pp. 11–40). New Haven, CT: Yale University Press. Novak, J. D., and Musonda, D. (1991). A twelve-year longitudinal study of science concept learning. American Educational Research Journal, 28, 117–154. Palmer, B. M., Codling. R. M., & Gambrell, L. B. (1994). In their own words: What elementary students have to say about motivation to read. The Reading Teacher, 48, 176–178. Pressley, M., & Woloshyn, V. (1995). Cognitive strategy instruction that really improves children's academic performance (2nd ed.). Cambridge, MA: Brookline Books. Samuels, S. J. (1988) Decoding and automaticity: Helping poor readers become automatic at word recognition. The Reading Teacher, 41, 756–760. Santa, C. M., & Hoien, T. (1999). An assessment of Early Steps: A program for early intervention of reading problems. Reading Research Quarterly, 34, 54–79. Shapiro, E. S. (1996). Academic skills problems workbook. New York: Guilford. Stahl, S. A. Duffy-Hester, A., & Stahl, K. A. (1998). Theory and research into practice: Everything you wanted to know about phonics (but were afraid to ask). Reading Research Quarterly, 33, 338–355. Stanovich, K. E. (1986). Matthew effects in reading: Some consequences of individual differences in the acquisition of literacy. Reading Research Quarterly, 21, 360–441. Stanovich, K. E., & Siegal, L. S.(1994). Phenotypic performance profile of children with reading disabilities: A regression based test on the phonological-core variable-difference model. Journal of Educational Psychology, 86, 24–53. Stanovich, K. E., & West, R. F. (1989). Exposure to print and orthographic processing. Reading Research Quarterly, 24, 402–433. Thomas, E. L. & Robinson, H. A. (1972). Improving reading in every class: A sourcebook for teachers. Boston: Allyn & Bacon. Wood, S. S., Bruner, J. S., & Ross, G. (1976). The role of tutoring in problem solving. Journal of Child Psychology and Psychiatry, 17, 89–100. Wristers, K., Francis, D. J., Foorman, B. R., Fletcher, J. M., & Swank, P. R. (2000). Growth in precursor reading skills: Do low-achieving and IQ-discrepant readers develop differently? Paper presented at American Psychological Association Conference in Washington, DC. Zutell, J. (1998). Word sorting: A developmental spelling approach to word study for delayed readers. Reading and Writing Quarterly: Overcoming Learning Difficulties, 14, 219–238.